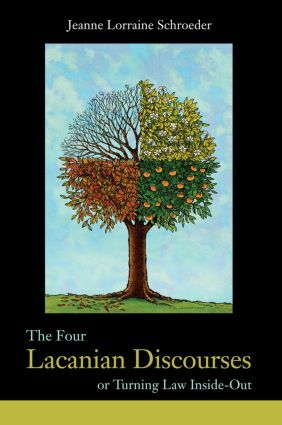 This book proposes a taxonomy of jurisprudence and legal practice, based on the discourse theory of Jacques Lacan. In the anglophone academy, the positivist jurisprudence of H.L.A. Hart provides the most influential account of law. But just as positivism ignores the practice of law by lawyers, even within the academy, the majority of professors are also not pursuing Hart's positivist project. Rather, they are engaged in policy-oriented scholarship - that tries to explain law in terms of society's collective goals - or in doctrinal legal scholarship - that does not try to describe what law is, or to supply justifications for it - but which examines the 'internal' logic of law. Lacan's discourse theory has the power to differentiate the various roles of the practicing lawyer and the legal scholar. It is also able to explain the striking lack of communication between diverse schools of legal scholarship and between legal academia and the legal profession. Although extremely influential in Europe and South America, Lacanian theory remains largely unexplored (in the English-speaking world) outside of the field of comparative literature. In taking up the jurisprudential ramifications of Lacan's work, The Four Lacanian Discourses thus constitutes an original contribution to current theoretical and practical understandings of law.